(BENSON) The holidays are marked with a variety of traditions, and the season at Arizona Generation and Transmission Cooperatives (AzGT) is no exception to that rule. 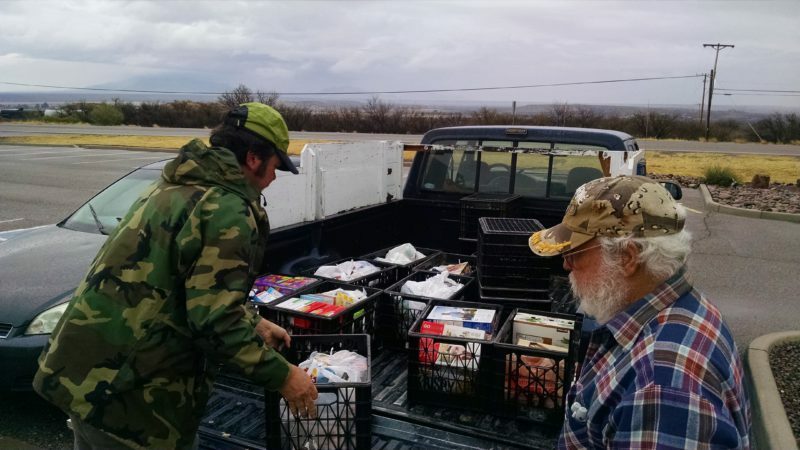 From a food drive to benefit the Benson Area Food Bank to a supply drive for Cochise County senior citizens, AzGT employees continued the tradition of helping those in need. For more than a decade, AzGT has held a food drive to benefit the Benson Area Food Bank. This year, AzGT employees donated more than 1000 pounds of nonperishable food items and $285 in cash and checks. The drive started on the week of Thanksgiving and concluded on the week before Christmas. 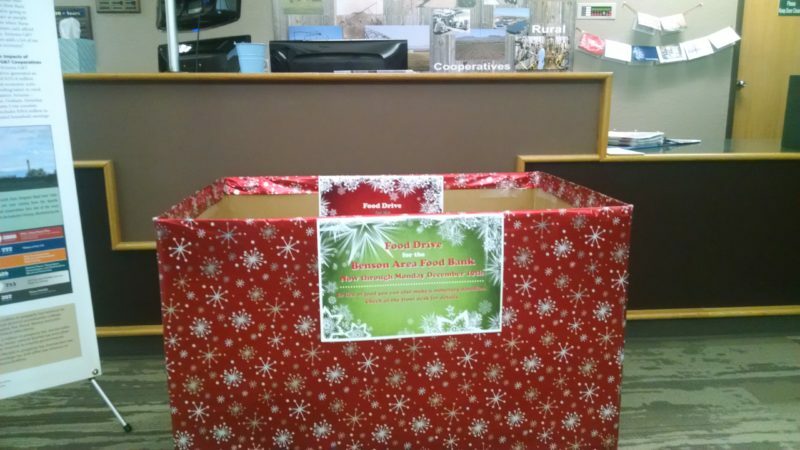 The box in the Benson campus lobby collected donations from the week of Thanksgiving to the week before Christmas. The food bank provides food boxes to families who qualify through the Women, Infants and Children (WIC) program as well as through the Nutrition Assistance program with the Arizona Department of Economic Security. Those families can receive a box every other month. Joy Reilly, the president of the Benson Area Food Bank, estimates the food donations can fill about two months’ worth of boxes for families. Benson Area Food Bank volunteers pick up donations, which should provide for about 250 food boxes, or two months’ supply to local families. In addition to food boxes, the food bank will provide bread, produce and sweets once a week to families who walk in to the office. Up to 1000 families or about 2500 people a month rely on that support. Children from one to five years old can receive a food box and milk once a month. The cash and check donation from AzGT should cover about 150 gallons of milk. “We appreciate it so much,” Reilly said. Churches and other community organizations support the food bank, also. Reilly points out that the food bank does not receive any government support; it relies completely on donations. Along with donating to the food bank, AzGT employees also supported a supply drive for Cochise County senior citizens. About 150 senior families across the county need help acquiring basic supplies that range from toilet paper to lip balm. Collection boxes invited donations through most of November and into December. Those who look after Cochise County seniors are also grateful for the help. Leisa Cotten, senior nutrition director in Cochise County for Catholic Community Services, says receiving these basic supplies will be the only way many of these seniors celebrate Christmas. “We’re the only program that provides a service to them every day,” Cotten said. 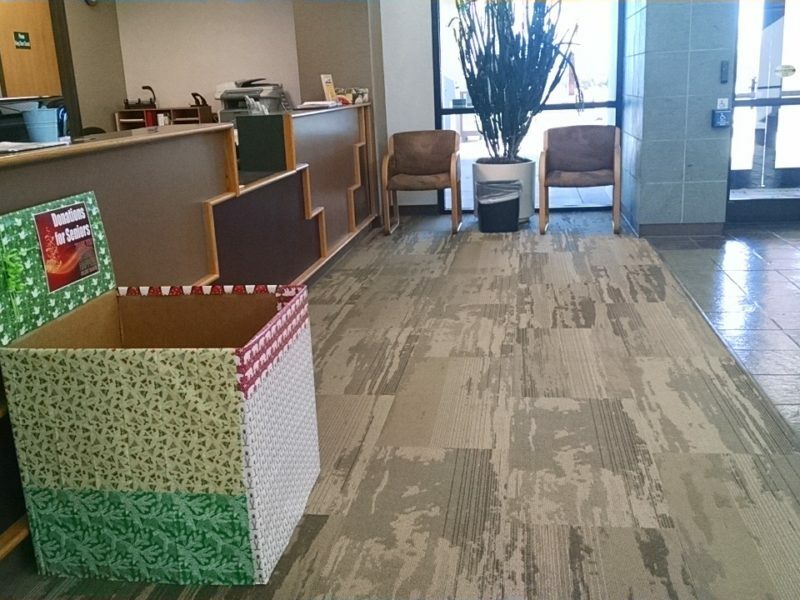 The supply drive ran from early November to the beginning of December with a box for donations in the lobby of both Apache Station and the Benson campus. Those who did not have time to donate supplies were welcome to donate money for needed items. 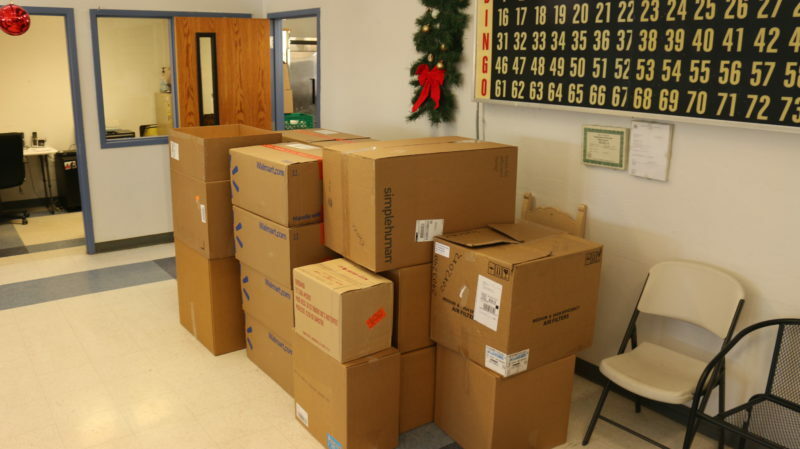 The AzGT supply drive for seniors provided 161 pairs of socks, 150 boxes of cider or cocoa mix, 163 sticks of lip balm, 152 tubes of lotion, 171 boxes of tissues, 68 rolls of toilet paper, 150 rolls of paper towels, 168 towels, 64 placemats, and 97 miscellaneous holiday items. Those miscellaneous donations ranged from mugs to boxes of mints. The senior supply drive generated enough supplies for 150 senior citizen families. Along with AzGT, civic clubs, churches and friends also provide support. 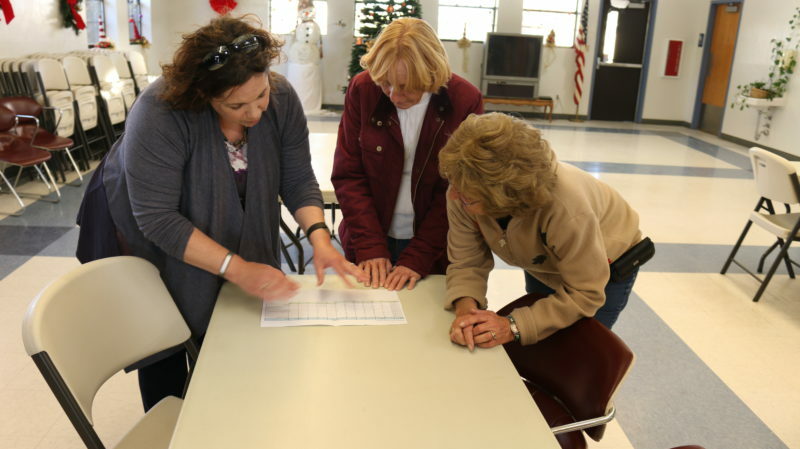 AzGT Internal Audit Manager Kathleen Ortega (l) reviews the list of supplies with volunteers Aileen Aul (center) and Linda Wilson. Ortega estimates that this year’s drive provided about four percent more support than last year.